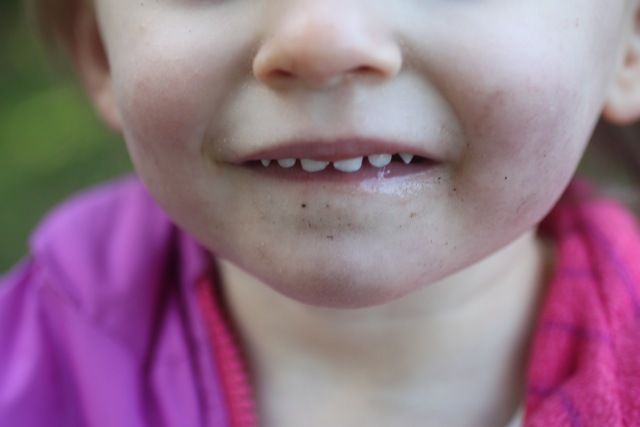 Somewhere rests a story that involves someone saying, "Didn't you eat dirt as a child? 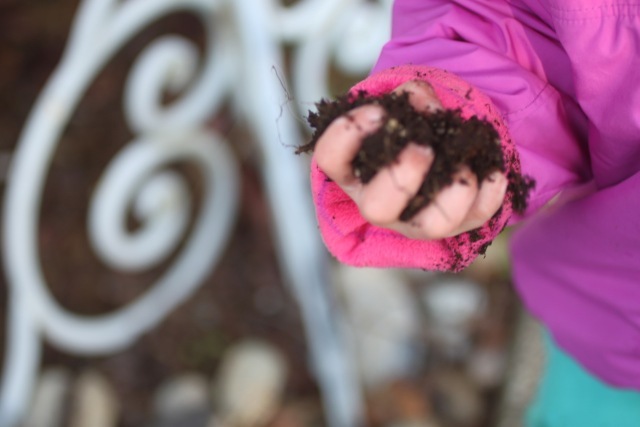 All children eat dirt." Before I could answer, my dad said in a very clear, even tone, "Elizabeth, did not eat dirt." We were laughing around a dinner table. Me, four and a half months pregnant and wondering about the personality that was becoming inside me, wondering if he or she would be a bit more fearless than her mother. And here we are, more than two years later, watching this personality develop each day before us. Fearless. Joyful. (wee bit) Stubborn. Hilarious. Open. Always on the move. People so often want to "figure out" who she looks like. I just love that she is finding her way to be herself. Somewhere in the words above rests a poem. I'm not sure where to begin yet. I'm not sure about the title or what the first line will be. But I know that one day soon, I want to revisit these words and these images and these memories and play with a poem. Until then, I am calling this a poem note because, well, that is what it is. The notes for a poem. Maybe even a few words that will form their way into a poem. I have been writing "poem notes" for a few years now as a way to take those notes without feeling the pressure of writing the perfect poem. Sometimes they end up actually seeming like they might be a finished (or almost finished) poem. Other times they are more notes, like the words above, with images I don't want to forget. I love the way the poet inside me sees the world. And I am so grateful to poetry for pushing me to let this poet within me breathe. If you are interested in giving that poet within you space to play and breathe and observe the world around you, consider coming along for Poem It Out. Class starts next Monday, and we are going to have so much fun!